Ahn-young! 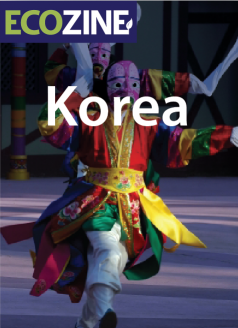 Welcome to the Eco Pages of South Korea! Jutting out of a peninsula west of Japan, South Korea is a fascinating country of varied lanscapes, ranging from jagged snow covered mountains to the beautiful forests of the south and the collection of islands beyond. As one of the world’s quickest growing economies, South Korea is focusing much of its energy on eco-matters and sustainability. Visitors and locals alike will be happy to find a wide range of responsible and eco-smart listings ranging from home products to luxury goods, business solutions, to tourism and travel ideas. As technology and innovation spur this nation forward, its eco-friendly mindset will definitely play an important role well into the future. Watch this space as more and more businesses appear on the Korean green scene!